If you remember a crazy instagram story that I did a couple weeks ago regarding playing detective in a home that we eventually discovered was a grow op, this was where I met this couple. They had seen this home with another Realtor and weren't overly happy with the experience and wanted to go back. In all honesty it was one of the most bizarre, puzzling, and interesting showings I have ever had. Walking through the home with them after meeting them at the door way to the home, and wandering around the massive property trying to figure out what had happened there. At the end of it I told them "I don't know you or your financials very well, but I am going to say that it would be a bad idea to buy this home"
From there we got them organized on a home search for a property that was a little less scary and better suited for them. There was no rush to move and it could happen now or two years from now and so I was fully prepared to take a little while to find their new home. Then suddenly this one came on the market. The home was incredibly well cared for (so much so that I think we were all about disgusted by it) and the backyard was phenomenal. There was incredible landscaping on the large pie lot, and shortly after seeing the home the offer was written up and accepted. 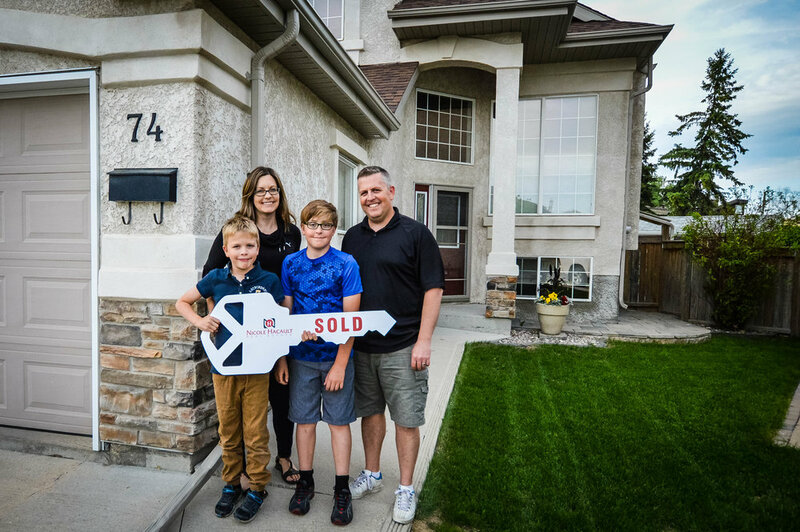 Although the journey was brief, this family was a joy to work with, and I know they will absolutely enjoy this new home.